Arsenal and Chelsea played a thrilling 2-2 draw in the Premier League on Thursday night, wherein Alvaro Morata drew much criticism for not being able to finish three golden opportunities in the game. However, Chelsea fans were also left unimpressed by former Monaco midfielder Tiemoue Bakayoko. The French international played the entire of the 90 minutes at the Emirates, but could not make a significant impact in the centre of the park. Bakayoko was extremely influential in Monaco’s campaign last season, which saw the club become champions of France. This prompted Blues boss Antonio Conte to sign the 23-year-old for £39.7m, as a possible replacement for Nemanja Matic. Against Arsenal, however, the youngster failed to impress, but he wasn’t substituted by Conte despite his sorry performance, and that decision did not go down well with Chelsea fans. Every time I have watched Bakayoko this season he's been, er…not good is probably the nicest thing I can think of. By the look of things, the Blues’ supporters would much rather prefer to try Englishman Danny Drinkwater in midfield due to the Frenchman’s underwhelming performances. The former Leicester City man may finally get his chance at the expense of Bakayoko on Saturday, when Chelsea take on Norwich City in the FA Cup. 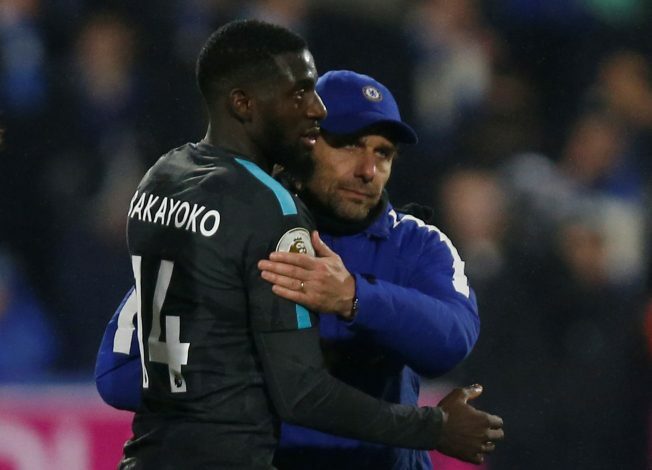 Meanwhile, Bakayoko will surely have to step-up his performances, because if his current form were to continue, he could genuinely fall out of favour with the Stamford Bridge faithful.